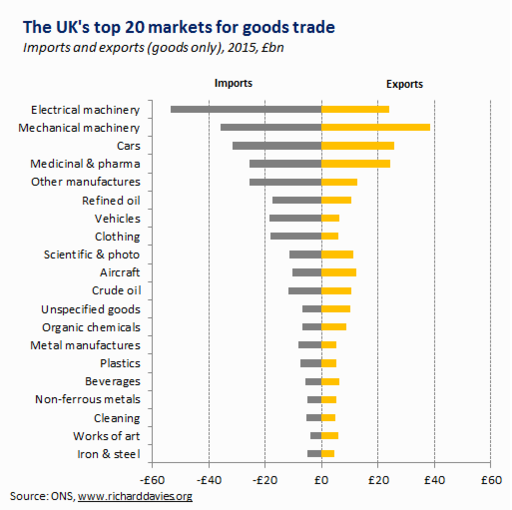 This is the UK's most important markets in terms of the goods that we produce and sell. In almost all categories we import more than we export, hence the huge trade deficit in terms of goods. Trade bargaining | Where to strike a deal? 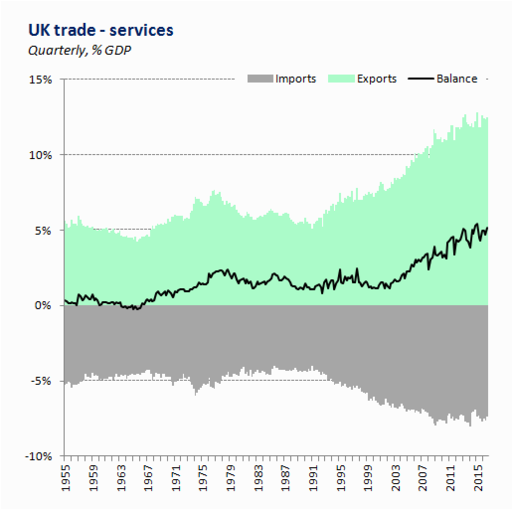 The UK's strength in services is longstanding but really exports and the services surplus really started to pick up in the early 2000s. 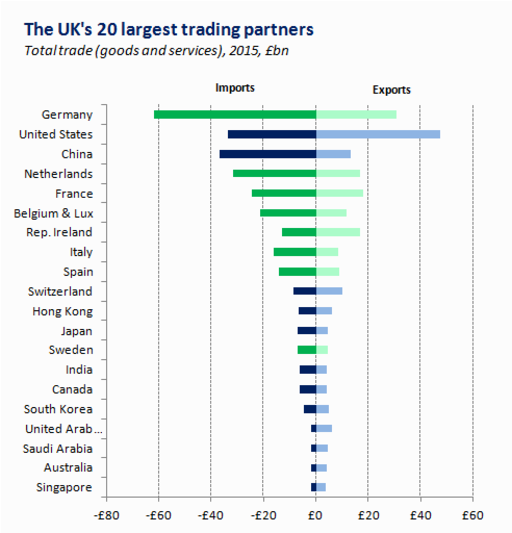 The UK's top 20 trading partners. 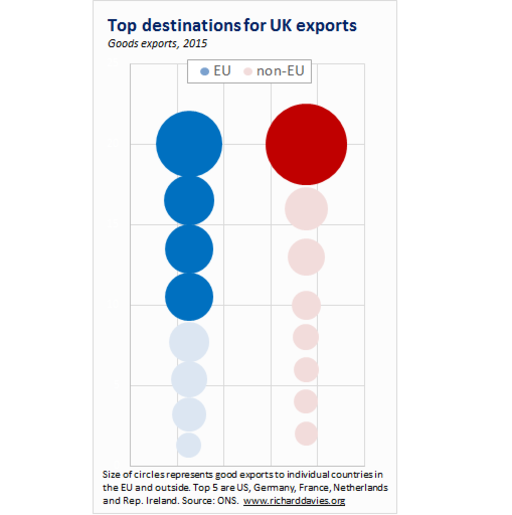 Trade is broadly balanced with non-EU countries, but there is a big trade deficit with the EU. In general the UK has trade surpluses with smaller countries. 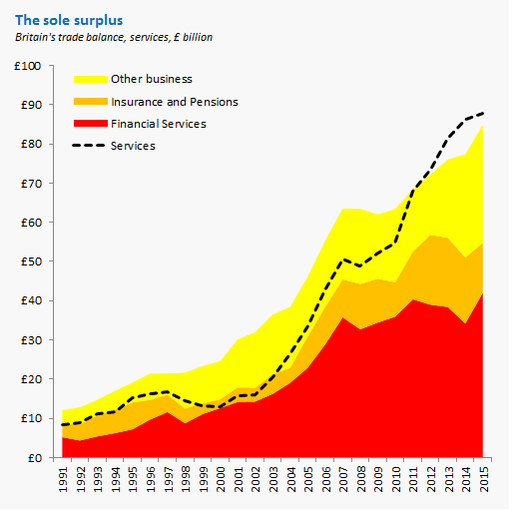 Within services Britain's key strength are finance, insurance and "other business". This is things like accountancy, consultancy, and law. 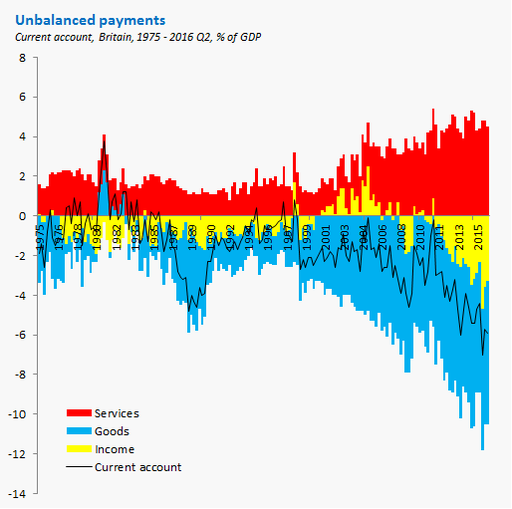 Britain has the largest current account deficit of any advanced economy. 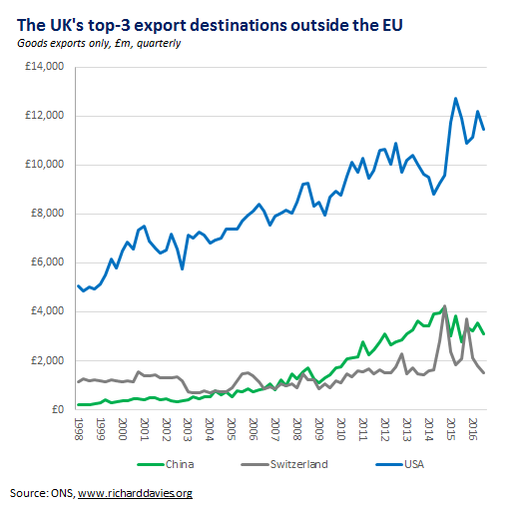 We have a longstanding shortfall in goods exports, and a new, worrying weakness in our foreign income. Services are strong. 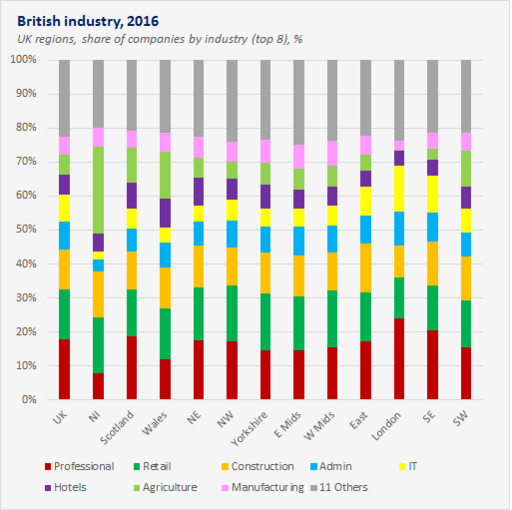 Industry in Britain is pretty concentrated. Firms in the top eight sectors account for more than 70% of all enterprises in every region. Useful to know for targeting an industrial strategy. Brexit is going to hit some industries harder than others. Things look ominous for finance. A hard Brexit for the City will hit the pound. 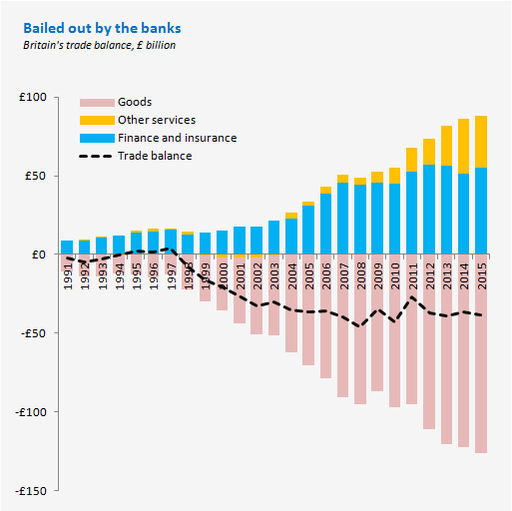 Britain's BoP is weak, and is propped up by finance.